Rest Day today!!!! Hey, It's New Year's Day...Happy New Year! 3/18/12 Sham Rock N Roll 10k(Plymouth, MI) - An inaugural race put on by Kona Running Co. I will be an official ambassador of this race this year and you will hear much more about this race over the next few months. This is the same company that has organized the Solstice Run and the Wicked Halloween Run. If this is anything like those races, this will be an unbelievably fun race. You should expect a well organized race, great medal and awesome shirt. It's also a great start and finish in downtown Plymouth. 4/22/12 Glass City Half Marathon(Toledo, OH) - My first time racing this. My plan is to actually run this as a training run considering what I need to run two weeks from this race! I have heard good things about this race. Great medal, finishers glass, stadium finish at the University of Toledo. This will be my fifth half marathon. 5/6/12 Flying Pig Marathon(Cinncinati, OH) - My first time racing this and also my first marathon out of the State. Looking forward to this very challenging marathon in downtown Cinncinati. This is a really well known national race. It will be my third full marathon. 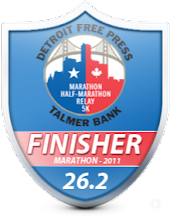 5/20/12 Back to the Beach Half Marathon(Shelby Township, MI) - This half marathon takes place very close to home. A nice change. This will be run at Stony Creek Metropark. The park that I run at on a regular basis. This is the second year this race has been going and my first time running it. It will be my sixth half marathon. 6/23/12 Solstice Run 10 mile(Northville, MI) - This 10 mile race is one of the few 10 milers in Michigan. I will also be an official ambassador for this race and you will hear much more about this race in the next six months. It has a challenging course(but not too challenging) and will be my third year running it. This was the first 10 mile race I have every run. In addition to a great course, it stars at Northville Downs with a loop around the racetrack. It finishes in an awesome park on a track and each year they have come up with a new theme that makes this a "must do" race. In addition, there is usually lots of sponsors at the end of the race which is really unique and makes for a great finish. The medal last year was great as well. In fact, I would say that every medal I have received from a race with these organizers has been one that you will want. It also happens to be the 10th anniversary of the race this year! 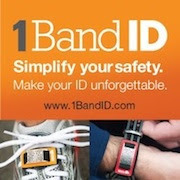 8/27/12 Crim 10 mile(Flint, MI) - This will be my third year running this nationally known race. This is the largest race I have ever been to and it is very organized. It starts and ends in downtown Flint. It is also a challenging, hilly course that I really enjoy racing. It has a nice expo prior to the race but given it's farther from home, I'll likely just pick up my packet on race day. Unfortunately, it can also sometimes be very hot in August in Michigan but regardless a really fun race. 10/7/12 Brooksie Way Half Marathon(Rochester Hills, MI) - This half marathon is also close to home. The race starts and ends at Oakland University. This will be my second time running this. The first time I ran it, it was my first half marathon. It also is a very challenging, hilly course. My plan is to run this as a training run only given I'll be running a marathon two weeks later. 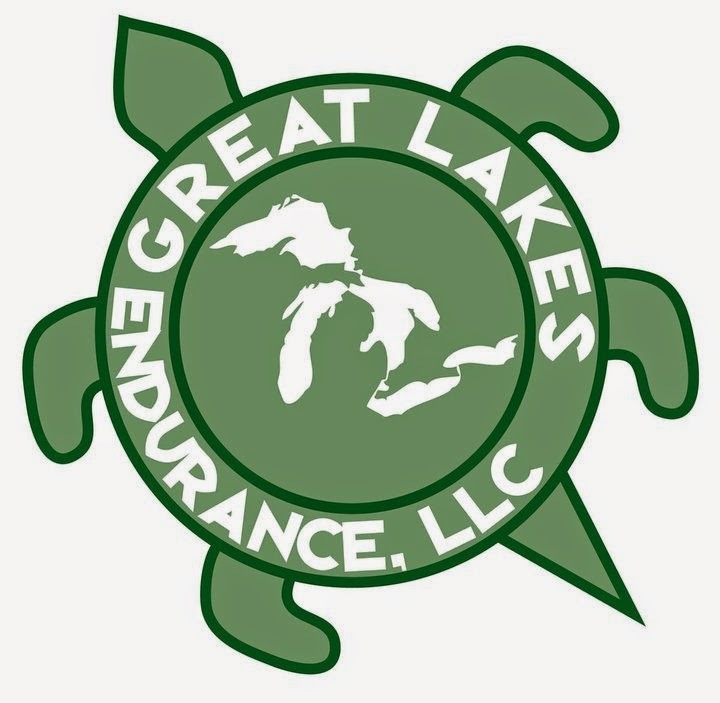 10/21/12 Grand Rapids Marathon(Grand Rapids, MI) - This full marathon is on the West side of the State. It's a smaller race and a great place to try for a PR. I have heard very good things about this race and the race director is there at the finish to shake your hand or give you a hug. There you have it, my race schedule for 2012. I'm looking forward to each and every race. Congrats on a great 2011 (whoa that's a lot of miles!) and your 2012 looks fun. 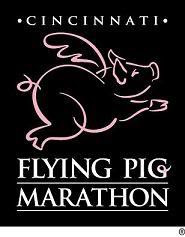 I'm especially jealous about Flying Pig--definitely on my list of races to get to. Looks like a great race calendar for 2012. I can't wait to read about all of your successes! Me and my husband are also looking forward to the Shamrock Rock n Roll run! Sounds like a great schedule! Hopefully I'll see you at the Crim this year. yayy, I'm glad you're a shamrock n roll ambassador too! We will definitely need to take a picture together for that race! Your schedule looks great! Amy and Meg - hope to see you both in March!